Children thrive when they have their own space that they can claim as their own home, castle, or business. A playhouse from Crestwood is the perfect space for this to happen. When kids enter their playhouse they enter a space where wars are won, babies are fed and put to bed, brilliant inventions are birthed, and princesses find their dashing prince. The best part of this is that while your kids are exercising their creativity and spending their energy, you can have peace and quiet in your home to enjoy your hobbies also. Our playhouses are a wonderful way to make everybody happy and to make you the hero of your kids or grandkids. Get A Playhouse Installed In Your Backyard For As Low As $1,432. Customize a playhouse to your children’s style by choosing the colors and adding on unique features. 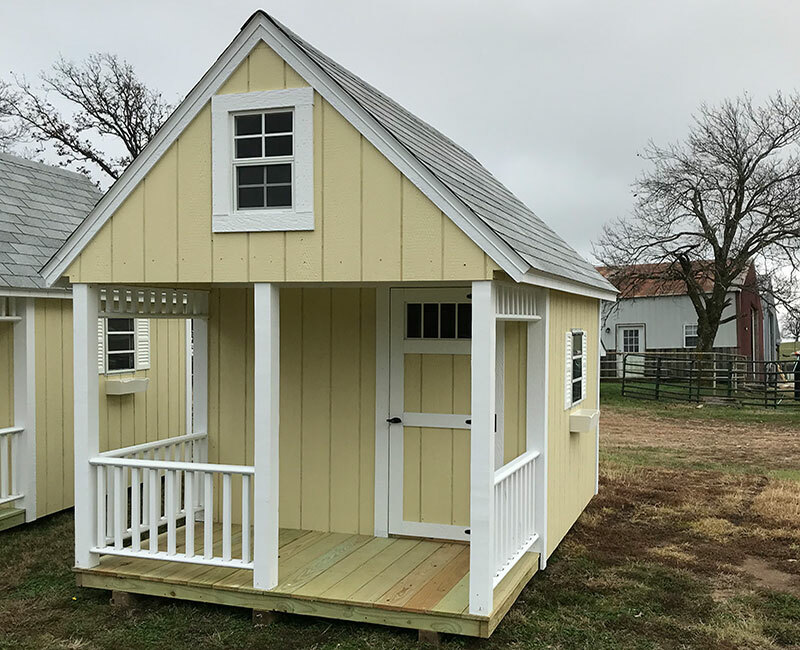 These playhouses come standard with one door, two windows and a front porch with an overhead loft. 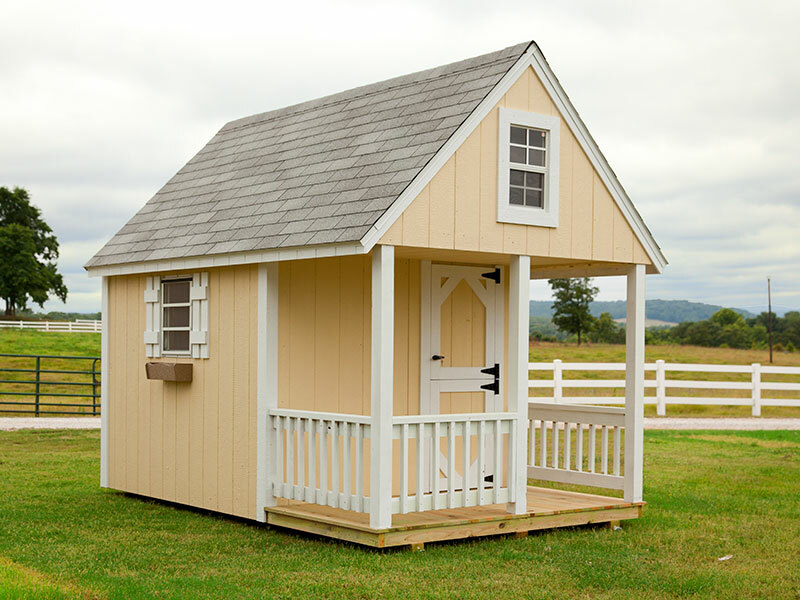 If you have specific features that you want included in your playhouse, we’ll do our best to satisfy this. Bring us a picture or send us a design you like that you saw online and we’ll build it to your specs.